Boston: Priscilla Publishing, 1899, 48 pgs (cover missing). A classic. Detailed descriptions of the many embroidery stitches used in charted patterns, as well as charts for alphabets, historic, formal and floral borders, church and heraldic motifs, intricate birds, butterflies, flowers. 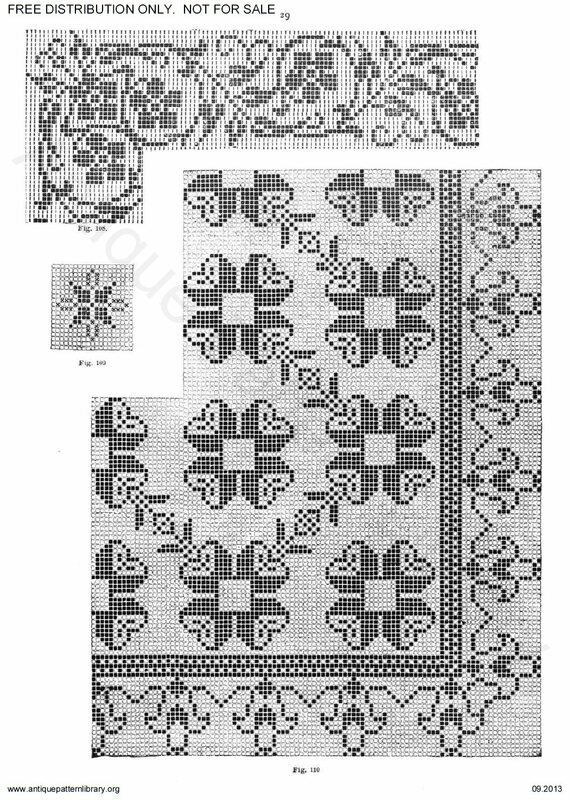 Many of these patterns work for filet crochet, beading, charted knitting, etc. Some of the harder-to-read charts, cropped and enhanced the CHARTS ONLY pdf.